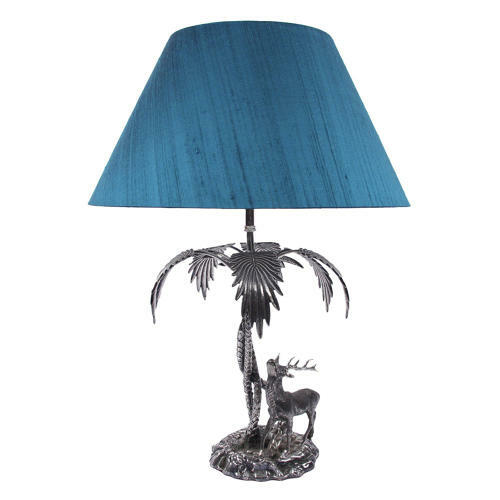 Beautiful sculptural silver plated stag and palm lamp with an incredibly detailed finish. Dimensions include the shades. Rewired and PAT tested.